The physical conditions of where you work are directly connected to the inner conditions of HOW you work. Feng Shui provides the intersection between your environment and your life. In other words, if your office is cluttered, no doubt your mind is as well. If the chair you sit in malfunctions, that pattern of malfunction can affect other parts of your work. Conscious or sub-conscious, your environment can impact you in terms of productivity, profitability, clarity and decision-making—and it can support or weaken your resolve around a professional vision you may be holding. Sit at your desk so you can see the entry to the office. This is a pattern that stresses the importance of seeing what’s coming your way and of being prepared so you can anticipate your next decision. Sitting with your back to the entry implies that you may be unaware of opportunities that could be passing you by—–opportunities which may be key to making your vision a reality. Solution: If you can’t change your desk, place a reflective object (a mirror, for example) in such a way that you are always on alert for what may be coming in your door. Get a new perspective from the window. This provides you a chance to experience a more expansive vision. You get to look past your everyday reality toward something beyond your office walls. As your physical vision expands, your inner vision can as well. Solution: If you don’t have a window, hang a painting, drawing or a travel poster that “takes you away.” You need only glance its way when you need to remember your vast vision. Pay attention to your vision wall. A vision wall is the wall that you easily see when you look up from your desk. In your office layout, the wall may be across the room, right in front of you, or next to the entry. A vision wall has the potential of reminding you of, well, your vision. Place something on the wall that is inspiring and uplifting, something that motivates you, something that is larger than you in terms of purpose. Looking at this will help you not only continue to hold your original vision but to expand it as well. Solution: If you have no vision wall, somewhere in your space hang or place an item that speaks to your heart so it can be a constant reminder of that vision you’re holding. 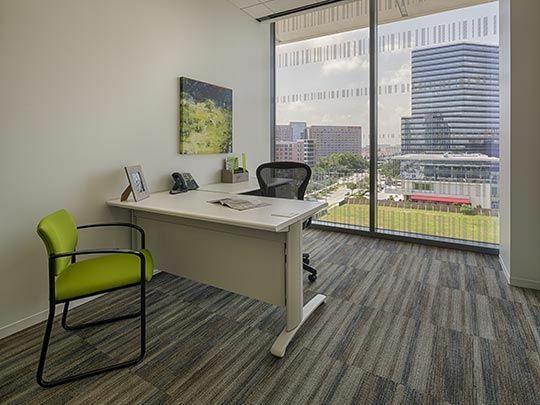 By making some simple changes in your office space to integrate these three Feng Shui patterns, you can create an environment that will help you successfully arrive at the vision you’ve been carrying. Now, let the dreams begin.